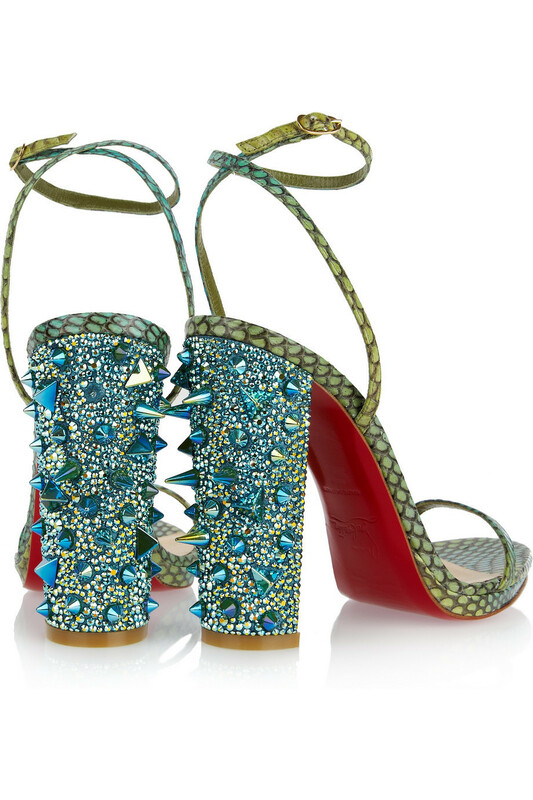 Today's So Shoe Me is the Palace 120 Swarovski Crystal-Embellished Snake Sandals by Christian Louboutin, $2495, available at Net-a-Porter. Bold bloody bottoms with an on trend iridescent shine will make your holidays bright and will spike up your per-spring style. Sultry snakeskin in soft shades of green creates the epitome of luxury with an exotic texture for discerning tastes. Iridescent spikes and studs cover the 5" block heel in sharp&shiny perfection while the slim platform adds comfort for dancing all night or meeting and greeting at events. Pair these decadent heels for NYE with an equally iridescent party dress, crystal necklace and deep oxblood lips. 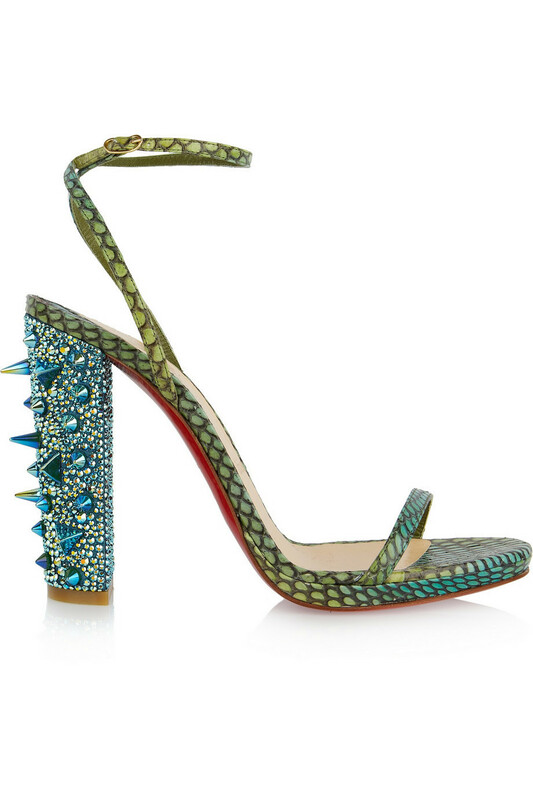 So Shoe Me a pair or radiant rainbow heels with a sultry side of snakeskin that will spike up my holiday style.